I’m sure I’m like many others here that receive Woodpecker’s emails advertising their one time tools. Never cheap, but always tempting. In particular the current offer of the Large Speed Squares. 12” and 18 I believe. 12” interests me most. My dilemma is I can’t find a Rock Solid Accurate 12” speed square. Tried Dewalt twice and both of those were not truly square. Am I going to have to pay $150 for a truly square 12” speed square or is there another brand out there that folks have found to be true?? My 7” is an older Stanley bought at Walmart and after testing it that thing is dead-nuts-on… only 7” though. What do you define as “dead-nuts on” for any speed square? There is a limit to any measurement. Are we talking wavelengths of light or eye-balling lines on a board? The “plastic” construction speed squares are very accurate by the way they are made. I find the plastic or fiber/resin ones stay square longer than the aluminum ones that i have had. 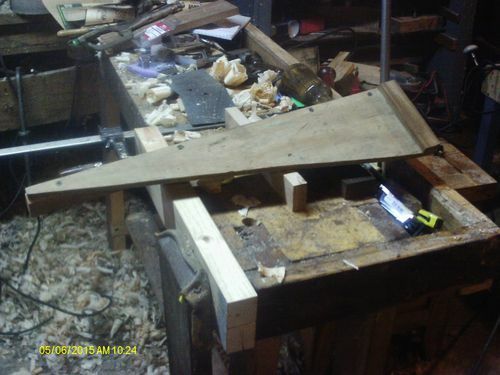 If I am tackling a furniture or picture-frame quality project, I don’t try to use a speed square in the first place. I love those things, but i always thought they are intended from the beginning as tools for framing projects, outdoor types work, and the like. If you are happy with the spending level, and/or you have the pride of ownership gene for a bunch of red devices, then I would just get it and not spend any more time asking the internet. I bet that the WP version will be quite accurate. Wavelengths of light of course. Angstroms would suffice. “dead nuts on” for me, in this instance, isn’t asking the world… I simply want to be able to set the square on a flat edge, strike a line… Flip the Square, superimpose another line over the first, and have that result in one line towards the end of the square. Phil I will add that if this were not an issue to some, all squares would be priced the same ;-) Not the case, so I’m not alone. Anyways, I just went to my local Home Cheapo and took 3 of the “true blue” Empire, anodized large speed squares to the lumber department and did exactly as I just mentioned above. I still want the woodpeckers though darn it!!! If I am tackling a furniture or picture-frame quality project, I don t try to use a speed square in the first place. I love those things, but i always thought they are intended from the beginning as tools for framing projects, outdoor types work, and the like. hahhahha…. Pride of ownership gene for red devices. Guilty as charged I guess. But you nailed it when you said that WP Version will be quite accurate!!! I also don’t much rely on a speed square for striking a complete cut line, because realistically if your saw is cutting straight it’s the entry cut that matters most, for example- a table saw surely won’t follow a line you draw regardless of how square it may be, but I still love having accurate tools at my disposal for a variety of other tasks that seem to rear their head in the shop. You can make one from a plastic drafting square, just groove a strip of wood and glue it to one side of the square. Plastic drafting squares are usually some of the most accurate squares by the nature of what they are designed for. I have a 1281 Aluminum square from Woodpeckers. It’s too thick and clunky I hardly ever use it. Starretts are what I mostly use. Save your money and buy a Starrett. I don’t know why you would want a speed square that’s a framers tool. Ahhh yes most speed squares a considered a framer’s tool, have you looked at the One Time Tool I’m referring to?? the “ledge” or base is removable and serves as a great means of confirming square on table saw, compound miter saws, etc because it has the ability to lie perfectly flat like a plastic draftsman square. I believe I’ll purchase the one-time tool just because I’ve been waiting for them to offer one of these, and once they’re gone, they are gone. Hard to argue that the product is not quality. Ok I had a look. I still don’t see how it could do better then a starrett combo square. It’s just too thick I like a thinner blade to square my tablesaw because it fits in between the teeth. I use the flat steel L-Squares. I have 12” and a 24”. I use the 24” L-Square to check the Edge sander if squared with the Block on the table. also use it to check the ends of the chest lids & coffee table ends if squared. The only square I have like the Woodpecker #1281, is a $3.00 steel 3” machinist square. I also like machinest squares. I have one that sits near my jointer it’s supposed to be stainless but it’s very discolored almost rust. It just looks like hell but its surprisingly spot on accurate. Anyone have a master square to check occasionally your daily users? I use a No 61 I keep stored away from daily use . 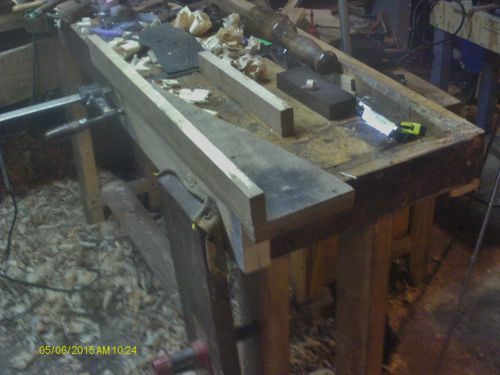 Started out as a Jobsite Saw fence….also works as a router guide (think sliding dovetails) and a guide for my circular saws….Been using it for rip cuts on my tablesaw, during the latest build along blog…. 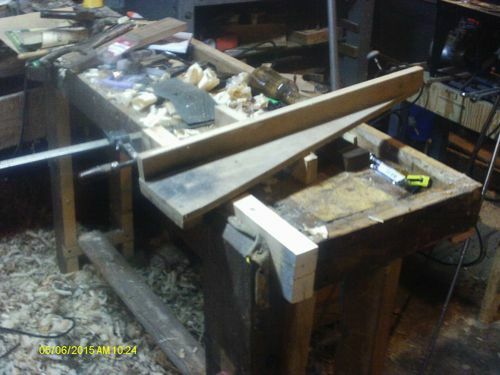 mark where you want a cut, or groove, clamp this in place with 2 clamps…and make the cut…3 pieces of scrap wood, and a few screws….maybe an afternoon to build and set up….